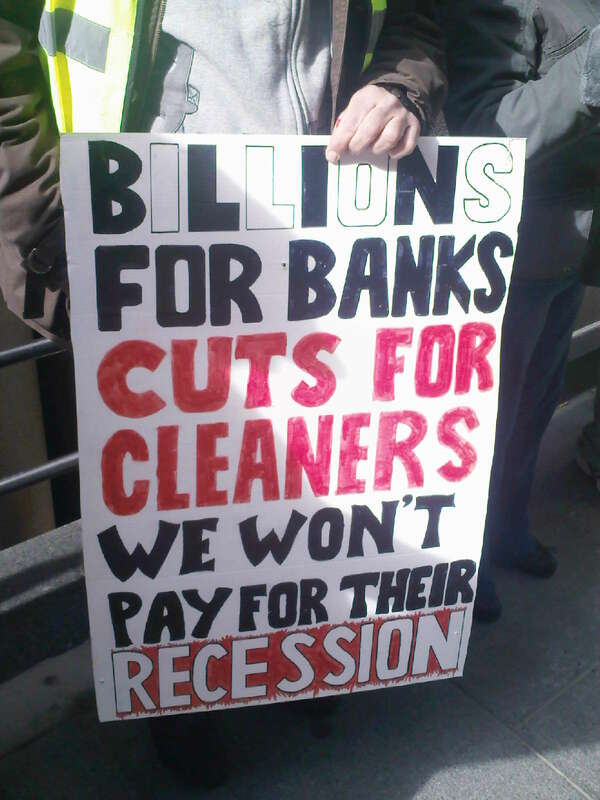 The cleaners are demonstrating because they are…. 1) All on the minimum poverty wage of £6.08 p/hour and are demanding the London Living Wage of £8.30 p/hour. 2) Often not paid for the hours they work. 3) Not provided appropriate equipment or protection. 5) At threat of seeing 50% redundancies. The remaining 50% of the cleaners would be expected to cover the work of those made redundant with the same hours and with no extra pay! The Guildhall cleaners started organising in the summer against bad conditions and non-payment of wages. They have joined the cleaners’ branch of the Industrial Workers of the World and fought for the London Living Wage and against bullying and harassment. The company, Sodexo, have responded to this by trying to force the organised cleaners to leave. They have suspended a union rep, who is still waiting for the resolution of his case after months. Today’s demonstration cancelled… due to total victory. See first comment below. Our position is clear: any increase in salaries must be real and not be offset by any reduction of working hours or increased work load. FOR A REAL LIVING WAGE! 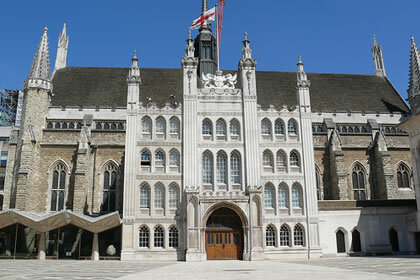 According to the website of London’s Guildhall, it was designed to show the power of London’s ruling elite. This tradition is continued today by annual speeches by the Chancellor of the Exchequer and the Governor of the Bank of England. The most recent event was a dinner in tribute to the new Ronald Reagan statue attended by the Foreign Secretary, Condoleezza Rice and other dignitaries. third global commune report, trade unions – are they fit for purpose? It was generally agreed by participants that the third Global Commune event, jointly hosted by the Republican Communist Network (RCN) and the commune, on Saturday, January 29th, was a very worthwhile day. Writes Allan Armstrong. 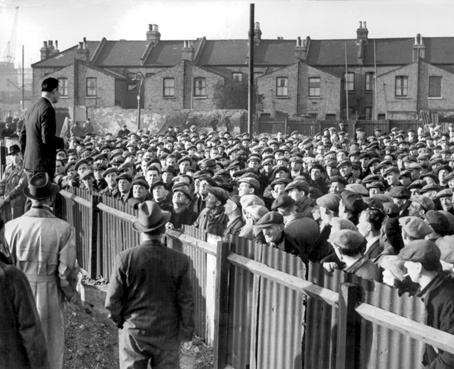 A union official addresses London dockers, 1947.